Happy New Year! Now is the perfect time for setting goals and focusing in on priorities specific to your marketing efforts. At Transform Consulting Group, we know your work is important. We also understand that your time and resources may be limited, regardless of the role you play at your organization. Your marketing strategies cannot be a luxury that you ignore. With these quick tips, you can make the most of your efforts this year! 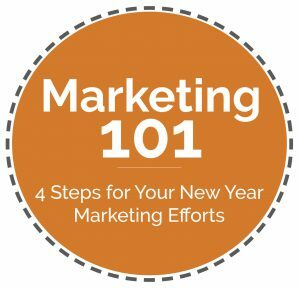 Push the brakes and spend time reflecting on your marketing efforts last year similar to what you would do for your organization’s programs and services. What worked? What didn’t work? Did you reach your target audience and participation numbers? Did you accomplish your fundraising goals and how was marketing a part of that effort? If you set goals last year, did you meet them? If you didn’t set specific goals last year, spend time looking back on your efforts. Take inventory of your social media platforms, your web traffic, other digital efforts, advertisement efforts, created collateral, etc. What are trends you can recognize? Specific marketing “wins”? Make sure you have a clear idea of where you’re at before you start taking those next steps into the new year. At TCG, we do a year-end review to share with our clients. This is a great opportunity for us to highlight our successes and share in a visual way. Now that you’ve put in the necessary time for reflection of the past year, it’s time for the fun part – planning! Brainstorm – Team up! Your organization may not have the luxury of a huge marketing department, but your colleagues can offer fresh perspective to your planning. Bring new people to the table, and start dreaming up possibilities that align with your goals. You could invite staff from different departments, board members, volunteers and possibly clients, if appropriate. The more voices and perspectives you include might provide fresh insights to inform your marketing efforts. We wrote a whole blog on setting SMART goals here. You’re probably setting goals for your programs. 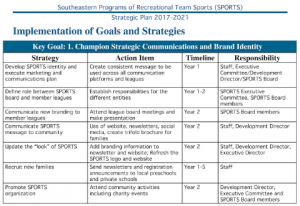 Don’t forget your marketing goals! Make them Specific, Measurable, Attainable, Relevant, and Timely. 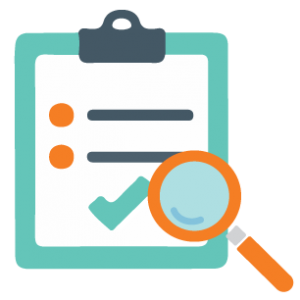 Look at the systems you have in place to be able to help you report out on your marketing goals: Google analytics for your website traffic, social media platform analytics, customer feedback surveys, and any other data collection methodologies. Schedule – Once you have goals determined, break out action items that will need to happen to ensure success. It can be intimidating to have a year goal, but monthly or even weekly goals may seem more realistic. At TCG, we like to use a monthly plan and highlight the theme or goals for every month of the year. We then break down specific tasks and put them on the calendar for reminders and regular check ins to ensure we stay on task. Your budget should align with your goals and the schedule you implemented earlier. Space out the expenses throughout the year and make sure you factor in any additional expenses to avoid surprises. Once you begin to collect some data against your goals, you can start to determine which marketing investments are “worth it” and redirect funds accordingly. Is your organization ready for the new year? Are you prepared with a marketing strategy to elevate the importance of your work and cause? If not, contact us and let’s put some plans in place! Besides an ask, did you say thank you? Research shows nearly a third of giving happens at the end of the year, so now is the time to focus on communication and donor stewardship. Hopefully your year-end campaign will bring in new donors as well as repeat donors. Throughout your campaign, don’t forget to circle back to those who give and follow up with your gratitude. According to Blackbaud’s Charitable Giving Report, retention rates for first time donors are between 25-30%, but for multi-year donors, the retention rate doubles. We know it’s a busy time of year, but at TCG we recommend building in time to thank your donors and begin (or continue) building a relationship that will continue throughout the year and for years to come. Ultimately, this continued engagement will help grow your donor base. During the end of the year frenzy, don’t forget to thank your supporters and volunteers! Dedicate one of your emails to celebrating what your organization has achieved this year. Include a list of highlights, pictures from events, or a holiday picture of staff, and start building excitement for the coming year. Once you receive a donation, the job is not done yet. Make sure that each donor receives a receipt with their donation. That is required. But don’t stop there. Send your donors a dedicated thank you email or letter. Sooner than later. 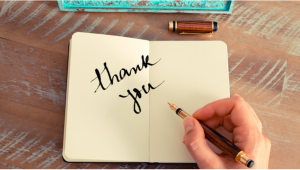 Want to really say thank you and engage your board? Have board members call or write major donors to express appreciation for their gifts. It is also part of good donor stewardship to communicate regularly with your donors. Engage (or reengage) your donors in your nonprofit as it is obviously a cause they care about. After the first of the year, welcome new donors. They might have given because a friend or family member supports the cause without knowing the details of what you do. Create a welcome series of emails to get them better acquainted with your organization. And for all donors, connect with them throughout the year and include a call to action – to sign up for your newsletter, tour the facility, attend a program, or volunteer! You have your campaign strategy and a plan for following up with donors. Here’s a timeline of how everything works together! January-February: Review the data to see how your campaign performed. How many new donors, recaptured donors, and repeat donors did you have? Keep in touch throughout the year! Want more ideas for your year-end campaign? Check out our latest blogs on Giving Tuesday and 10 Tips for Year-End Giving Campaign. If you want to learn more about how your campaign performed this year or to improve your organization’s fundraising next year, check out our services and contact us today! 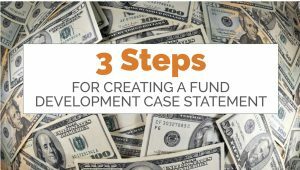 As 2018 comes to an end, we’ve talked a lot about how to end the year with a bang when it comes to your fund development goals. (Find our 10 tips for your year-end giving campaign here). This blog is all about Giving Tuesday – the National Day of Giving. Giving Tuesday falls on the Tuesday right after Thanksgiving. The idea is to have a day for giving thanks (Thanksgiving), followed by two days for deals (Black Friday and Cyber Monday), and then there is a day dedicated to giving back (Giving Tuesday!). Decide how much money your organization wants to raise on Giving Tuesday and what the money raised will go toward funding. Once you decide your goals, share them with your supporters! Donors want to know where their money is going and the difference it will make. This strategy will also help build excitement throughout the day as you creep closer and closer to your day’s goal. Giving Tuesday is a great opportunity to engage with new donors, no matter the size of the gift! Use messaging that clearly illustrates your mission and work for individuals who may not know much about your organization. Talk about the importance of your services and your impact in the community. Include options for gifts as small as $5 on your donation pages to get new supporters in the door. Engage millennials Giving Tuesday is a very social and hashtag friendly day of giving. It may not connect with all donors (which is why Giving Tuesday should only be one piece of your year-end giving campaign), but it is a perfect opportunity to get millennials excited about your mission AND sharing your campaign. Use various communication mediums Videos, pictures, and testimonials are all great tools for sharing your organization’s story. Since Giving Tuesday is primarily an online campaign, you will need to think of how you’re engaging supporters in a way that stands out in the often-distracting digital world. Check out case studies from Giving Tuesday campaigns in 2017 here. Notice the unique messaging, visuals, and strategies used. You’ll see that not everyone focuses on raising dollars during their campaign. In-kind donations may be just as valuable for your organization. 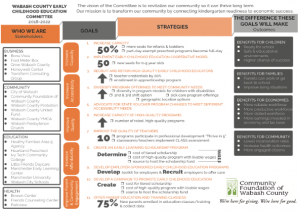 You can frame your entire campaign around your organization’s specific need. Tuesday, November 27th may be the big giving day, but planning content to promote leading up to Giving Tuesday will really increase your impact. We recommend 1-2 additional communications in the weeks prior to Giving Tuesday. Promote on your social media platforms that your organization is participating in Giving Tuesday, and share what the day is all about. Send an email blast to your contact list to get them excited about participating. It’s not too early to start building excitement! Giving Tuesday is the day to rally the troops and get your network engaged in your fundraising goals. 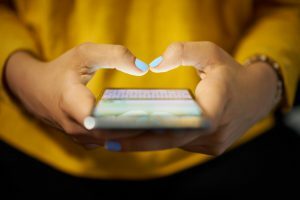 Encourage volunteers, board of directors, staff, and partners to share why they support your organization on their own personal social media platforms. 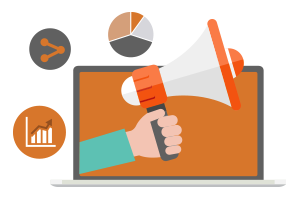 Provide your supporters with content and language to share that is consistent with your messaging. Encourage key contacts to create their own fundraisers on your organization’s behalf. Follow up with donors We know it’s a busy time of year, but don’t neglect your donors. Acknowledge every gift, no matter the size. Have a process in place for depositing gifts in a timely manner and issuing gift receipts for tax purposes. As the holiday season approaches, our team would love to support your fundraising efforts. Check out our services here, and contact us today for a free consultation! 2018 is quickly coming to an end! Before you know it, we’ll be saying “Happy New Year” and plans for 2019 will be underway. We’re heading into the season of giving. It is that time of year where donor dollars increase significantly. Year-end giving trends suggest that nearly one third of annual giving happens in December. Start Planning Now: You can’t wait until the last few weeks of December to reach out to donors or to make the first “ask.” Get a plan in place today that you can implement over the next few weeks. Send Something: Whether it’s a holiday greeting in the mail or an email blast wrapping up the year, your current donors need to hear from you. You can highlight an accomplishment from this year, share a specific need heading into the New Year, or just thank the donor for their past generosity. Most likely your donors are hearing from other organizations too, and you need to be on their radar. invested in your organization. You may even decide to give a special gift to those who met X amount of service hours. 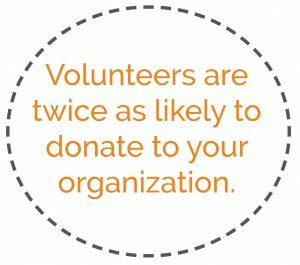 Volunteers are twice as likely to donate to your organization. These are the people who are already engaged in your mission and have seen first-hand the work you do. Enlist Your Board: Your board of directors can be your biggest asset this time of year. Have board members write personal thank you notes, make phone calls or accompany you to meetings with donors. Segment Your Contact List: Your strategy should be different for different donors or partners. Organize your contacts into specific lists and plan your approach for each group such as: major donors, once a year donors, volunteers, alumni (past clients if appropriate), board, etc. Go Visual: Create consistent images and visuals for all aspects of your campaign. Try highlighting major accomplishments or data using infographics (check out our blog series on infographics here). Feature client success stories and quotes with photos (if appropriate). Create images and banners to display on all social media platforms. You can even set up a microsite just for your holiday campaign that clearly showcases your goals and progress over the next few weeks. Plan A Giving Day: We highlighted tips for implementing your own “Giving Day” in this blog. This can be a unique day that your organization chooses to ramp up efforts or you may decide to take advantage of Giving Tuesday (read our blog with tips here). Regardless of what you choose, make sure you continue promoting your cause until December 31st. 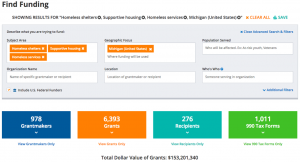 Surveys show 12% of funding comes in during the last 3 days of the year, so you shouldn’t just rely on one day for giving, but it can be a great tool to kickstart your efforts. Make It Easy To Give: Provide your donors with several options for giving and make the options clear! Create a button on your website for donations. Have a link on your social media pages that directs followers to give. Send pre-stamped envelopes for those donors who you know would rather give via check or cash. Focus On Donor Stewardship: It’s very rare that you can ask a person for money, and they give it to you on the spot. You need to steward a relationship with them first. Build trust and learn about the causes they are interested in. Donor stewardship is important for engaging new donors but also for helping to move current donors to the next level of giving. Don’t expect that your holiday postcard sent in December will be enough to gain significant traction. Make plans to meet up with specific people who you know can give more or should be giving period. Start those conversations today. Make It Personal: Regardless of what methods you use to ask for gifts (email blast, mailings, one-on-one meetings), you need to bring the focus back to the people you serve and causes you are working to impact. Put a face to your mission and make it personal. Share specific stories of how your programs changed a family’s life. Introduce a donor to that single mom who went back to school. 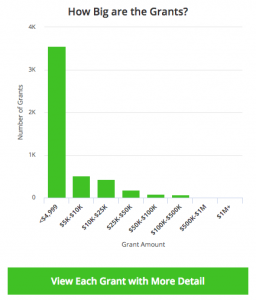 Highlight exactly where the donor’s dollars are going and who will be impacted. Along with the personal anecdotal stories, don’t forget to include your outcome results. Need help with having good data to share? 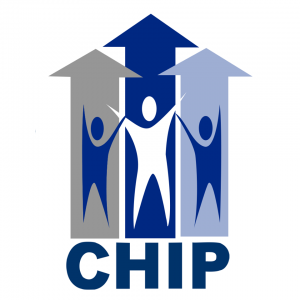 Check out this blog or our services. At Transform Consulting Group, we understand the many challenges that organizations face and often it begins with funding limitations. We want to work with you on ways to maximize your funding, so that you can move your cause forward. 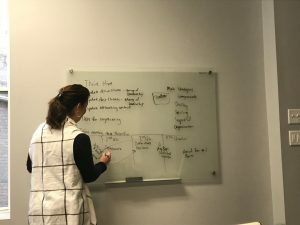 We love thinking outside of the box to come up with unique ways to engage current and new donors. Contact us today and let’s put your year-end campaign into motion!